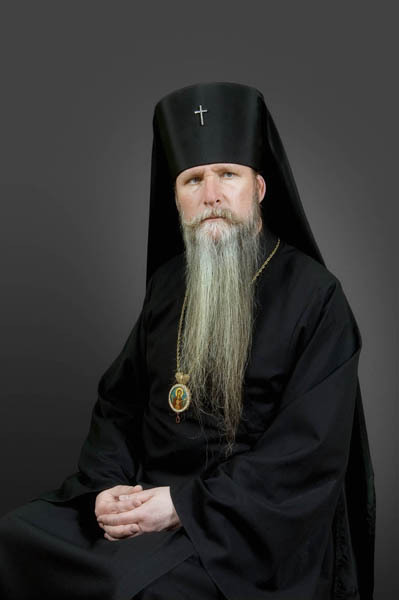 Archbishop Kyrill was born Boris Mikhailovich Dmitrieff on 24 November 1954, in San Francisco to Russian Orthodox parents. Fluent in Russian since his youth, he loved to serve as an altar boy, and went on to read during divine services. In 1972 at the age of 17, Archbishop Anthony (Medvedev, +2000) of San Francisco and Western America ordained him as a Reader, and later that year, after graduating high school, he enrolled at the University of San Francisco, which he graduated on an accelerated schedule with a Bachelor's Degree in Theology in 1976. Boris then decided to continue his education at St. Vladimir's Academy, where he received a Master's Degree in Theology in 1979. In 1981, he was tonsured a monk (in Jerusalem) and ordained as a hierodeacon by Metropolitan Philaret (Voznesensky, +1985), and a month later was ordained to the priesthood by Archbishop Anthony (Medvedev, +2000). That year he was appointed to the Russian Ecclesiastical Mission in Jerusalem and began to teach Russian and English at Bethany School. In 1982, for health reasons, he was transferred to the Diocese of San Francisco and Western America. In 1987, he was appointed Director of Sts. Cyril and Methodius School at the Cathedral of the Mother of God “Joy of All Who Sorrow” in San Francisco, and elevated to the rank of Abbot. In 1988, he was awarded the palitsa. On 7 June 1992, he was consecrated Bishop of Seattle, Vicar Bishop of the Diocese of San Francisco and Western America. In 2000, upon the repose of Archbishop Anthony, he was appointed Ruling Bishop of that diocese. In 2003, he was a member of the first official delegation of the Russian Orthodox Church Outside of Russia visiting Russia to meet with His Holiness Patriarch Alexy II. 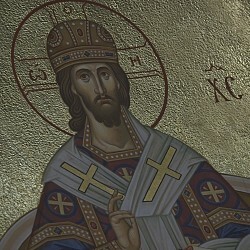 Later that year, Bishop Kyrill was elevated to the rank of Archbishop. In 2008, he was awarded the diamond cross by the Council of Bishops. In 2009, he was decorated with the Order of St. Innocent, 2nd Degree, and in 2012 was decorated with the Order of St. Sergius, 2nd Degree. In 2014 he received the Patriarchal commemorative panagia in honour of his 60th anniversary. 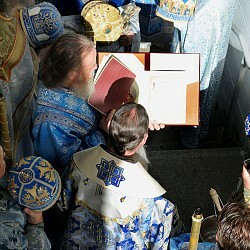 All three honours were bestowed by His Holiness Patriarch Kirill of Moscow and All Russia. In 2010 he was decorated by the Head of the Royal House - Grand Duchess Maria Vladimirovna with the Order of St. Anne, 2nd Degree; in 2013 with the Order of St. Anne, 1st Degree and in 2014 with the Order of St. Vladimir, 2nd Degree.